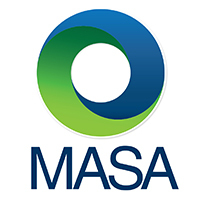 On April 23, 2019 at the Renaissance Concourse Atlanta Airport Hotel, the Michigan Association of Superintendents & Administrators (MASA) is organizing a one day "fly in" conference for State Superintendent Association Executive Directors and/or Deputy/Assistant Executive Directors who are responsible for professional development activities in their associations to collaboratively share and discuss the professional development vision and offerings provided by associations to their membership. Click here to view the draft agenda. Breakfast, lunch and an afternoon snack will be provided during the event and there is an optional vendor sponsored dinner following the event. If you have any questions regarding this event, please do not hesitate to contact Chris Wigent, MASA Executive Director, at cwigent@gomasa.org. A room block at the Renaissance Concourse Atlanta Airport Hotel has been reserved for this event. Please call Marriott Reservations directly at 1(800) 468-3571 or (404) 209-9999 or book online on or before Monday, April 1, 2019 to make your room reservations at the price of $189.00 a night (plus taxes/fees). Please tell them you are with the Michigan Association of Superintendents and Administrators (MASA) group.